My sister in law would get this if I win! She loves yoga! I'm a yoga beginner and could really use these to help get better at it. I'm wanting to get a new mat and need a block too. These products look fantastic!! I'm in desperate need of a mat refresh - this would be perfect. I'd love to get a hold of that roller! I must say that I love the idea of a cork mat! I've wanted a roller for a long time too. 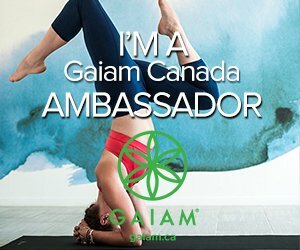 I would love to win this prize pack because I want to do yoga! I would love to win as I am sure n it would totally up my yoga game. I would love to win because my equipment is well-loved and I it would be nice to get a new one. I love yoga and enjoy Gaiam products so would enjoy this very much. I like to win to gift to my granddaughter. She like yoga. I love yoga and would love some new equipment to practice at home. I would like to win because I would love to try the hybrid yoga mat! I'd like to win to get quality mat for my training!! I'd love to win because my yoga mat is getting pretty old and I'd love something new just for me! I would love to win as I have been meaning to get back into yoga again. I would love to win because I need to replace my mat! Because I would love this mat! I do stretch for my back every night on a mat! I would also love the brick and roller. I'd love to win this to gift to my wife as she does yoga. I'd love to win this for my bff as she has been mulling over joining me at yoga class! 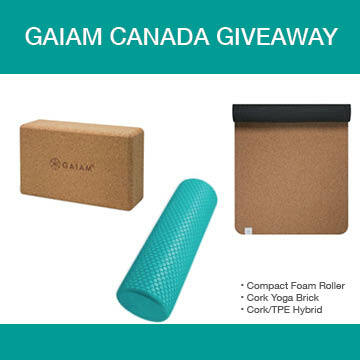 I would love to win because I could always use a new mat and I've been interested in trying out a foam roller. My daughter is just getting into yoga and would love this! HA! Are you kidding me? I NEED to relieve my stress! You know much of what I've gone through and what I still am going through. I would like to win this and start up yoga again. It's been a while. I practice Yoga/Block Therapy daily. This would be great! I love Yoga and hope to get back into it full time this winter for a healthy season. I love yoga but have been out of it for a while due to work but am determined to get back at it & introduce my hubby also. i have back pain and yoga would help tons! Yoga is my way of destressing after a long day. I also have chronic back and shoulder pain, so practising yoga and Pilates, doing the stretches, really help alleviate the pain. The yoga mat - it looks so cool!! I love doing yoga and this would be a nice bonus! I think this is really cool. Never seen this product before. Thanks for the opportunity!! 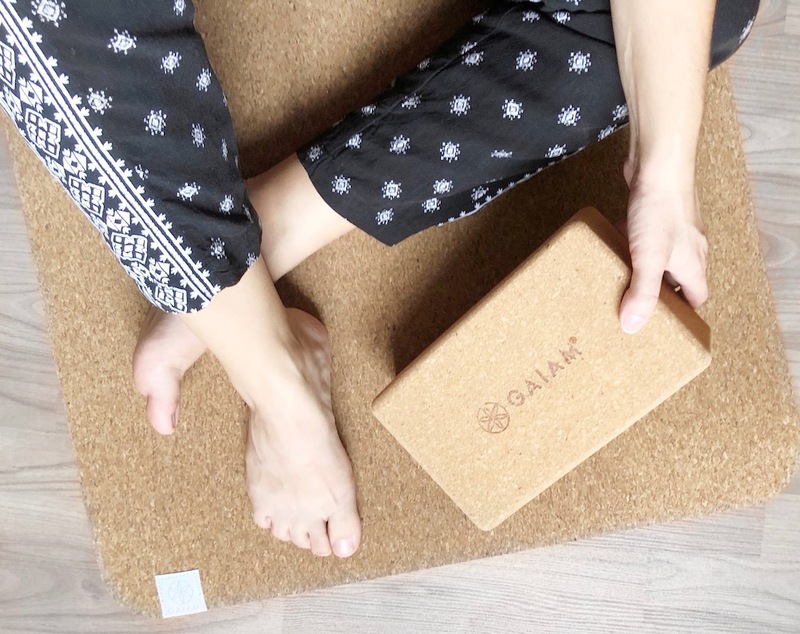 I am interested in lerning Yoga and would be great to have a Gaiam mat and things to use! My daughter is doing Yoga. im in need of new yoga equipment ! I would like to win this because I had a baby a month ago and want to start getting back in shape. Yoga would be a gentle way for my body to slowly condition again. My Yoga set is well used and worn, and needs replacing. Definitely need this- I'm learning yoga to heal a back issue. I'm ready to have my own gear so I can work on things at home. I would love to win for my daughter, she is just beginning to explore the wonderful world of yoga! I would love to win so that I can up my yoga game. I would love to win because I definitely need some helpful aids for my Yoga, I'm a beginner! I'd love to win to motivate myself to do yoga again. My mat is old and I would love a new one! Working hard to stay flexible! These products would definitely help! I'd love to win this as I am just learning how to do yoga! I do work out at the gym but prefer to do my yoga at home & I'd love this matt! I would love to win as I want to try doing yoga. I would love to win this giveaway because as a Mom it's really hard to remember to put yourself first. If you do that then it'll make it better for your family and yourself. Yoga I think is a great mental and physical method of exercise and if I won this giveaway I'd accept it as a message from the universe to actually put myself on the list. I really like the cork concept and am in desperate need of a foam roller and a new yoga brick. I would like to win so that I can improve my yoga practise! My mom has been doing yofa for years and this would be a great gift for her. My fiance recently started restorative yoga to supplement his psychotherapy for depression and attachment disorder. I am supporting him in anyway I can. My daughter just took Yoga as one of her class options last year but I don't have any supplies for it at home. This would really make a great Christmas gift for her so she could utilize her new skills at home! The foam roller would be great when my sciatica acts up but to use often when I stretch would be great. I would love to win as I have done a bit of yoga in the past but need to make it a part of my daily routine, so this would help.